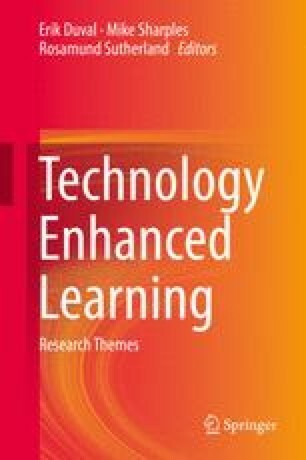 Technology enhanced learning is the study of how we learn and teach with interactive technologies, and how to design and evaluate effective technologies for learning. It began in the early 20th century with efforts to develop mechanical machines to automate the processes of teaching and assessment, leading in the later 20th century to computer-based teaching systems and to technologies that simulate human tutors. More recent work has focused on design and evaluation of learning with a variety of technologies including mobile devices, massive open online courses (MOOCs) and virtual worlds. New techniques of educational data mining and learning analytics offer ways to understand learning activities and design more effective courses. This work is informed by theories of learning with technology and methods of design-based research. Research themes include Learning as a Design Science, Collaborative and Social Learning, Technology-based Learning Environments, Self-regulation and Formative Assessment, Learning Objects and Infrastructures, and Digital Divides and Social Justice.